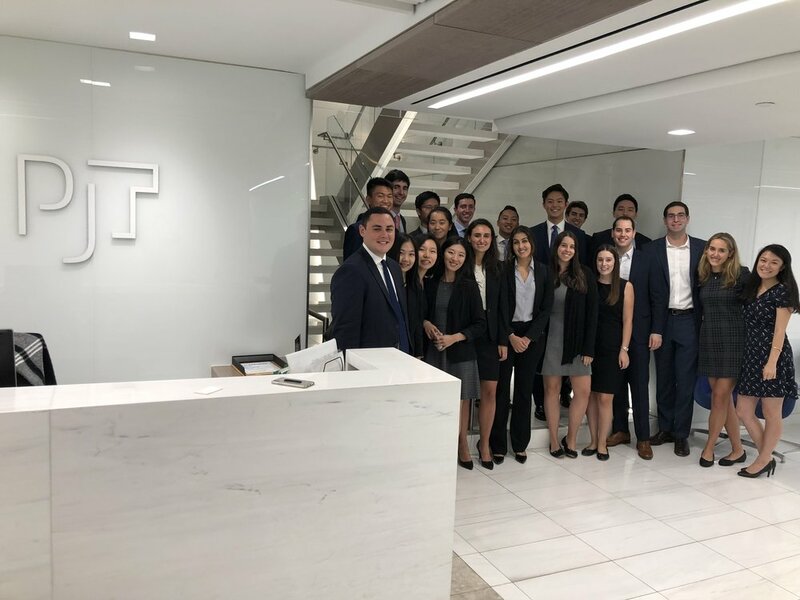 On Friday, September 21st , members of the Cornell Real Estate Club traveled to New York City for the club’s annual Recruitment Trek to visit with reputable investment banking and real estate investment companies. The purpose of the trek is to provide networking and recruitment opportunities for undergraduate students interested in real estate. The club had an action-packed day with visits to Prudential, Eastdil Secured, PJT Partners, and Goldman Sachs. Each visit began with a presentation by a few representatives of the firm, some of whom were Cornell alumni. The presentations gave students insight into what the company does, the type of work that they do in their respective roles, as well as example transactions that they have worked on. Afterwards, students had the opportunity to ask questions. Students asked about a variety of topics such as trends in the market as well as the company’s deal flow at this point in the cycle. The sessions then broke out into networking where students got a chance to form connections with seasoned professionals in the industry. Overall, the Recruitment Trek was a huge success, and the Cornell Real Estate Club is looking forward to continuing to host this trek for many years to come.